Once upon a time, a few decades ago, computers were extraordinarily expensive, room-filling machines  the kind decked out with whirring tape reels, flashing lights, and banks of switches. You didn't pull up a chair up to use one; instead, using a process called timesharing, you accessed it via a remote terminal at the same time as a bunch of other folks. Cloud computing doesn't need to prove its worth: You engage in it every time you post a status update to Facebook, upload a photo to Flickr, or check your inbox in Gmail. But the question is, is it ready to replace  rather than supplement  the old-school, PC-centric computing we know? Google thinks so. And it's trying to hurry things along with a piece of software called Chrome OS. 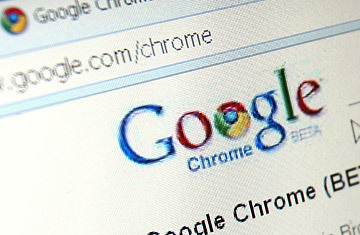 Based on the company's increasingly popular two-year-old Chrome Web browser (and distinctly different from its Android operating system), Chrome OS has emerged from the primordial browser ooze and sprouted stubby little operating-system legs  ones just muscular enough to let it boot up on its own. It's nowhere near as elaborate and feature-rich as Microsoft's Windows or Apple's OS X, but that's the point. Google wants to reduce or eliminate the headaches that come with full-scale personal computing, from maintenance hassles to security threats to data-destroying hard-disk meltdowns. The original timetable had Chrome OS laptops going on sale for this holiday season. Google admits that the project turned out to be a more sizable challenge than it expected, so the first commercial systems  from Acer and Samsung  won't hit store shelves until the first half of 2011, at prices yet to be announced. In the meantime, Google has come up with the Cr-48, an unbranded test notebook running a rough draft of the new operating system. It's doling units out at no charge to selected interested parties in return for feedback. The Chrome OS experience is nearly identical to using the Chrome browser (or, for that matter, Internet Explorer, Firefox, Safari, or any modern browser). Everything runs in full-screen mode, and there's no conventional desktop or folders. And while even the lowliest netbook can run Windows programs, there are no such things as Chrome OS applications: Google has launched something called the Chrome Web Store, but it's just a way to find and bookmark nifty Web sites and services, not a source of apps you can download and install. In theory, all this should feel underpowered and dumbed-down. In practice, it can be surprisingly agreeable, like exchanging a creaky, aging car for a nimble, lightweight road bike. Chrome OS starts up in seconds and snaps out of suspend mode by the time you've fully lifted its lid. There's none of the white noise that degrades the PC experience  the operating system notifying you that it's downloading updates, the security software crowing that it's deflected an attack, the random other programs telling you things you don't really care to know. If something does go catastrophically wrong with a Chrome OS system, it should be less, well, catastrophic. Your data and settings are stored safely on the Web, not on a hard disk-in fact, there is no hard disk. You can get to them instantly on any Chrome OS computer simply by entering your Google user name and password, eliminating the risk of treasured family photos or videos going bye-bye because you failed to keep a backup. Upgrading from one Chrome machine to another should also be a snap: You won't need to figure out a way to transfer your programs and files. Still, the time I've spent with a Cr-48 hasn't convinced me that pure cloud computing beats the blend of Web services and PC-based software that most of us rely on. True, I spend around 80% of my time in the browser even when I'm on a Windows PC or a Mac. But some of the remaining 20% is among the most essential work I do. I'd be thrilled, for instance, if a free Web suite such as Google's Google Docs or Zoho could completely replace Microsoft Office. For me, at least, they can't  serious number-crunching and presenting still call for full-bodied Excel and PowerPoint. I fret even more about Chrome OS's dependence on a reliable Internet connection. Google uses the tagline "Nothing but the Web" to promote Chrome OS, but "Nothing without the Web" would be almost as appropriate. Except for certain services that retain limited functionality even when the Internet is unavailable, such as Google Docs, this operating system is designed for an era of truly pervasive Net access  not the real world where connectivity can be pricey, spotty, or just plain unavailable. Google is doing what it can: Every Chrome computer will have a built-in wireless 3G modem as well as Wi-Fi capability, and the company is partnering up with Verizon Wireless to provide buyers with 100MB of free data access for the first two years. A hundred megs is just enough to get you hooked, though  if you need more, you'll pay anywhere from $9.99 for a day pass to $50 for up to 5GB of data per month. And it won't help in places where Verizon is unavailable, such as airplanes, for example, and several hotel ballrooms I've been trapped in recently. Just to test my assumptions about what I could and couldn't live without, I took the Cr-48 with me on a long weekend. I was able to accomplish everything I absolutely needed to do, including writing last week's Technologizer column  in part because I stayed in a hotel with good Wi-Fi. But when I got home, my MacBook Air felt like an upgrade that delivered most of what I liked about the Cr-48, plus more. Even if I have a tough time imagining myself recommending Chrome computers to typical consumers as soon as the first half of 2011, I'm glad that they exist. The very existence of Chrome OS should encourage the development of sophisticated next-generation Web services that are better able to replace traditional software. By 2012 or 2013, pure cloud computing could feel far more tenable than it does right now  and if it does, the experiment known as Cr-48 will deserve some of the credit.